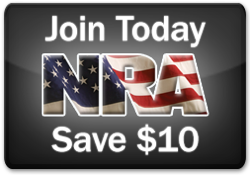 Stephen L. D’Andrilli, President of Arbalest Group LLC., publisher of the Arbalest Quarrel weblog, is attending the 144th NRA Annual Meetings and Exhibits, being held in Nashville, Tennessee, on April 10-12, 2015. Mr. D’Andrilli will be taking an active and important part in this year’s event, meeting with NRA staff members, attorneys, exhibitors, industry leaders and attendees. Of critical importance to Arbalest Group’s work, as defender of the Second Amendment, Mr. D’Andrilli will be attending the “NRA 18th Annual Firearms Law Seminar,” taking place at the Renaissance Nashville Hotel on Friday, April 10, 2015. Mr. D’Andrilli will provide a detailed report in an upcoming post in the Arbalest Quarrel upon his return to New York. See our 2015 Spring Newsletter for additional information. We discuss the Arbalest Quarrel’s work to date to preserve our sacred Second Amendment on behalf of law- abiding American citizens, and we provide a glimpse of our future plans for the Arbalest Quarrel.